Volumetric muscle loss (VML) is a loss of skeletal muscle that results in a sustained impairment of function and is often accompanied by physical deformity. To address the need for more innovative repair options, our laboratory has developed scaffold-free, multiphasic tissue-engineered skeletal muscle units (SMUs) to treat VML injuries. 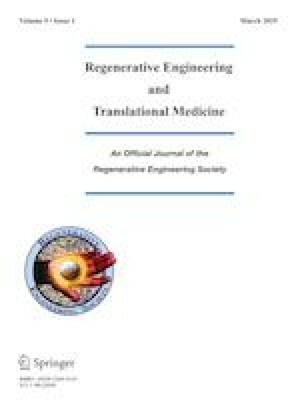 In our previous work, using the concept of the “body as a bioreactor”, we have shown that implantation promotes the maturation of our SMUs beyond what is possible in vitro. Thus, in this study, we sought to better understand the effect of implantation on the maturation of our SMUs, including the effects of implantation on SMU force production and cellular remodeling. We used an ectopic implantation so that we could more easily dissect the implanted tissues post-recovery and measure the force contribution of the SMU alone and compare it to pre-implantation values. This study also aimed to scale up the size of our SMUs to enable the replacement of larger volumes of muscle in our future VML studies. Overall, implantation resulted in extensive maturation of the SMUs, as characterized by an increase in force production, substantial integration with native tissue, innervation, vascularization, and the development of structural organization similar to native tissue. To address the need for more innovative repair options for severe muscle injuries, our laboratory has developed a lab-grown, living muscle tissue for implantation. In our previous work, we have shown that implantation of our engineered tissue promotes its maturation beyond what is possible in the lab. Thus, in this study, we sought to scale-up the size of our engineered muscle and to better understand the effect of implantation on the maturation of our engineered muscle, including the effects on the force production. Overall, implantation resulted in extensive maturation, including an increase in force production, innervation, and vascularization. In an effort to make this technology more clinically relevant, future work will involve the development and implantation of larger quantities of engineered tissue to replace a larger percentage of the lost muscle. We believe this will help restore muscle function to that of pre-injury levels. The authors would like to acknowledge the support of the NIH/NIAMS R01 grant: 1R01AR067744-01, as well as NIH Research Supplement to Promote Diversity in Health Related Research: 3R01AR067744-02W1. All animal care and animal surgery procedures were in accordance with The Guide for Care and Use of Laboratory Animals  and the protocol was approved by the University Committee for the Use and Care of Animals.